The Board of Control for Cricket in India (BCCI) has accepted many of the "significant recommendations" of the Supreme Court appointed Justice Lodha Committee recommendations, however, excluding the important one which are a bone of contention between the cricket body and the Lodha Panel. The recommendations, which have still not been accepted by the 30-member committee, ---one-state one-vote, age limit of 70 years, cooling-off period of three years which included the tenure of the administrators, continue with the five-selectors and keeping to retaining the powers of the president and secretary as per the earlier constitution of the board are the other recommendations. "Many significant recommendations of the Lodha panel have been accepted by the members of the Special General Meeting. However, wherever they find the legal challenges or technical difficulties, they have given their view points and have not accepted those recommendations," said BCCI president Anurag Thakur told reporters after a Special General Meeting (SGM) at the headquarters in Cricket Centre at the Wankhede Stadium in Mumbai. "BCCI has always been very open about the reforms. We believe in transparency, accountability and professionalism. We said that on day one and have done that in the last 18 months," he added. The meeting was adjourned yesterday on technical grounds. -Induction of the representative of Comptroller and Auditor General (CAG) as the member of the apex council as well as the IPL Governing Council. -The formation of the apex council with certain modifications. -The various committees as recommended by the Justice Lodha Committee including the special committee for the differently abled and the Women's Committee. -Formation of the Players Association and their representation on the Committee. The SGM authorized the CEO to contact the steering committee as proposed by the Justice Lodha Committee and commence the formation of the cricket players association. -The members were also unanimous in giving voting rights to the associate members as per the ICC guidelines. -Puducherry to be granted associate membership of the BCCI as proposed at Item No. 7 in the timeline report. -The SGM also accepted Item No. 3 (Code of Conduct for Players and Team Officials, Anti-Doping Code, Anti-Racism Code, Anti-Corruption Code and Operational Rules) of the first timeline report of the Justice Lodha Committee for implementation for the next IPL season. -With regards to Item No. 4 of the timeline report issued by the Justice Lodha Committee, the members drew the attention to the fact that while it was the effort to ensure a 15-day gap between the national calendar and the IPL - the same will not be possible in the year 2017 because of the ICC's Champions Trophy being scheduled in England at around the same time. -Item No. 5 (Agent Registration Norms) of the timeline report - was adopted unanimously. The Supreme Court hearing between the BCCI and the Lodha panel is set for October 6. Earlier on 28 September, the Justice Lodha Committee submitted its status report with the Supreme Court, accusing the BCCI of defying the apex court's orders and stalling its proposed reforms. Tearing into the BCCI for ignoring the directions of the Lodha panel, the apex court has directed the cricket governing body to respond to the panel's report before 6 October. The panel, formulated in the wake of the 2013 IPL spot-fixing and betting scandal, had recommended a set of sweeping reforms for the BCCI, including adopting the "one state, one vote" policy, restricting the tenure of office bearers, introducing a cooling-off period for administrators, cutting down the present five-member selection panel to three among others. 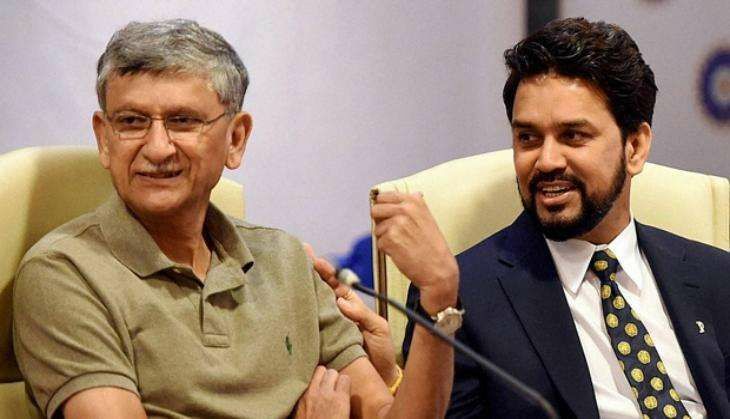 Soon after the approval of the proposals, the panel had served two deadlines for BCCI - September 30 to make constitutional changes, and December 15 to form a nine-member apex committee that will replace the working committee.